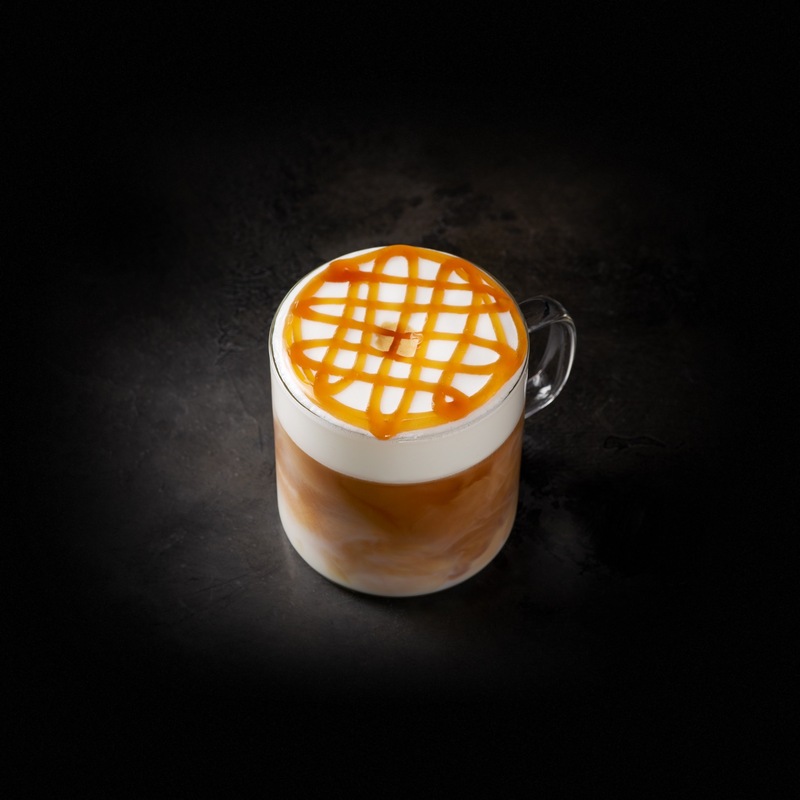 *contains egg Our Cloud Macchiato is light and airy with layers of fluffy foam*, cascading espresso, vanilla-flavored syrup and a drizzle of caramel. It's a whole new way to love your Macchiato. Milk, Brewed Espresso, Vanilla Syrup [Sugar, Water, Natural Flavors, Potassium Sorbate, Citric Acid], Cloud Powder [Sugar, Arabic Gum, Egg White Powder, Rice Protein, Citric Acid, Sea Salt, Natural Flavor, Xanthan Gum], Caramel Sauce [Sugar, Corn Syrup, Butter (Cream [Milk], Salt), Water, Heavy Cream, Nonfat Dry Milk, Natural Flavors, Salt, Mono & Diglycerides, Soy Lecithin, Sulfites]. Our Cloud Macchiato is light and airy with layers of fluffy foam*, cascading espresso, vanilla-flavored syrup and a drizzle of caramel. It's a whole new way to love your Macchiato.